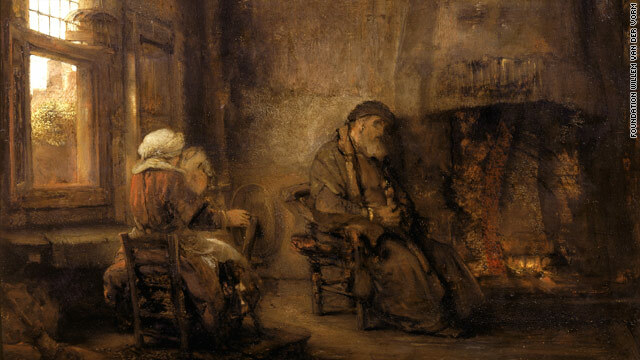 Attributing this work as a Rembrandt likely increased its insurance value from $4 million to $11 million—more on this in the Fall volume of the Journal of Art Crime which will be published in the coming weeks. More objects from Giacomo Medici sold at Bonhams, David Gill takes up again his argument that auction houses need to pay much closer attention to the history of objects they handle. One report on SAFE’s Beacon Award ceremony held last week. WNYC recently interviewed some different folks about deaccession. A London dealer has been quietly arrested for selling nine Old Master paintings and illegally exporting them from the United Kingdom. Do sellers of real property look for “kindred spirits“? Another account of the CPAC hearing on Greece’s request for a bilateral agreement. The Barnes collection’s new home will “copy much of the bucolic nature of the original setting“. Archaeologists and metal detectorists can get along. Archaeologists in Essex have announced the discovery of a Bronze Age hoard. The location was reported to archaeologists by the landowner and an archaeologist. See video of the excavation after the jump.